Oakland City Councilmember Rebecca Kaplan is following a recommendation from the city's privacy committee and requesting a council vote to cut ties with the U.S. Immigration and Customs Enforcement Agency. Last week, the Oakland privacy committee held a hearing on the city's multiple task force agreements with federal law enforcement agencies, focusing on ways these joint operations agreement could violate people's privacy and civil rights. The hearing uncovered a previously unknown memorandum of understanding between the Oakland police and ICE that allows OPD officers to work in task forces alongside ICE agents. OPD told the privacy commission that they haven't conducted any joint operations with ICE under the agreement. 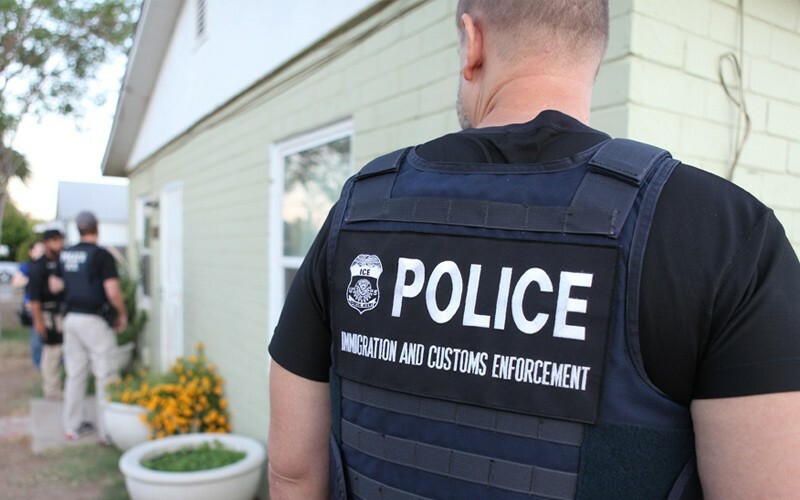 OPD also insists that its policy is to never enforce immigration laws, and that any possible joint operations with ICE are to combat international drug and human trafficking and other serious felonies. But privacy committee chair Brian Hofer said the fact that OPD hasn't conducted joint operations with ICE is all the more reason to terminate the agreement. Kaplan told the Express today that the city should do what it can to protect its residents from any possible abuses by immigration authorities. "I think in this era when we've seen more and more concerns about ICE exceeding what is appropriate for public safety, that people are being arrested purely for their immigration status, that it's all the more important for Oakland to make clear we won't collude with this kind of behavior," said Kaplan. "ICE has been at the forefront of the inappropriate racial targeting we say we're against in Oakland," she continued. "We need to take action locally to make sure our communities feel safe interacting with our law enforcement." Kaplan's proposal goes to the city council's rules and legislation committee tomorrow. She's asking that it be heard on its merits at the July 11 meeting of the council's public safety committee. A judge told Chapman, "You are to have no weapons of any kind — sticks, knives, pepper spray."